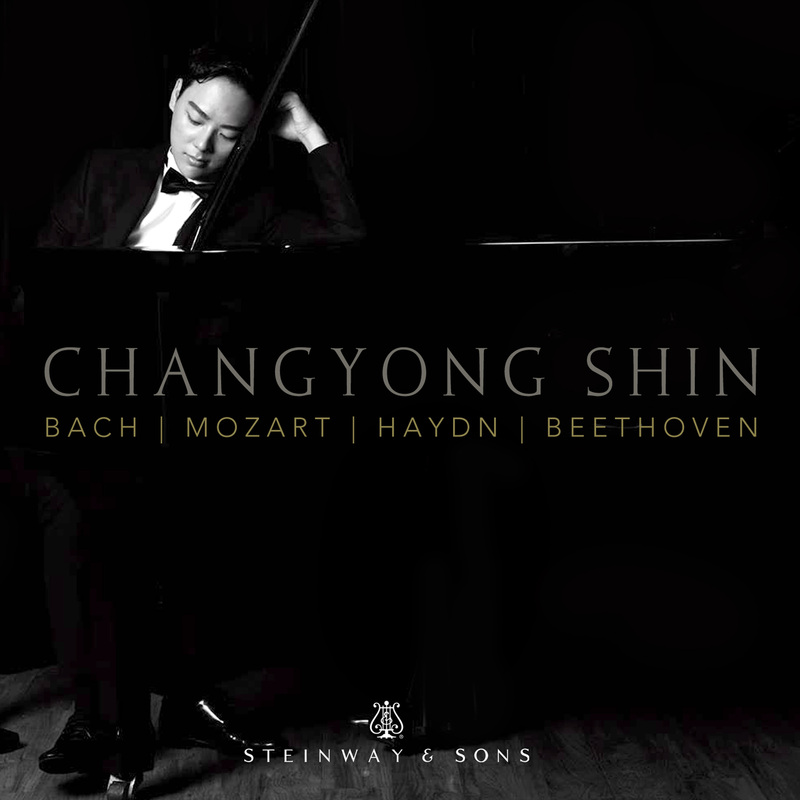 Changyong Shin, the gifted winner of the 2016 Hilton Head International Competition, debuts on the Steinway Label with a shimmering program that highlights his passionate musicianship and astounding technique. Korean pianist Changyong Shin, 21 years old when this album was recorded in 2017, has won prizes in his home country and at the Hilton Head piano competition in the U.S. In America he has studied with Robert McDonald at the Curtis Institute and the Juilliard School. You might be expecting a young technician attuned to the color-within-the-lines of competitions, and the pure core repertory program and Shin's straightforward reading of the Bach Toccata in D major, BWV 912, might confirm that Read more impression. From there, however, the recording opens out as if from a chrysalis. Perhaps the most impressive of all is Shin's reading of the Mozart Piano Sonata in D major, K. 576. Shin, keeping everything at a quiet, unassuming level, does a fabulous job of pulling out the dense contrapuntal strands of this late Mozart work. Sample the Allegretto finale, especially at the beginning of the development section, where the opening motif is reintroduced as a light splash of color before unexpectedly returning with emphasis a minute later. Shin convincingly shifts gears in the Haydn Piano Sonata No. 60 in C major, H.16/50 with its profoundly humorous secondary dominant in the finale, and even in the Beethoven Piano Sonata No. 28 in A major, Op. 101, he captures the ecstasy of the finale in a convincing way, adding a touch of drama to its introduction. Few pianists of his age have grasped the depths of late Beethoven as Shin does, and the sound from the acoustically fine Steinway Hall in New York is another plus. Not just a promising debut but an unusually good recording of these repertory works. Period: Baroque Written: circa 1710 Weimar, Germany Date of Recording: 7/11/2017 Venue: Steinway Hall, New York City Length: 10 Minutes 25 Secs. 2. Sonata for Piano no 18 in D major, K 576 "Hunt"
Period: Classical Written: 1789 Vienna, Austria Date of Recording: 7/12/2017 Venue: Steinway Hall, New York City Length: 13 Minutes 48 Secs. Period: Classical Written: c1794-95 Date of Recording: 7/12/2017 Venue: Steinway Hall, New York City Length: 13 Minutes 57 Secs. Period: Classical Written: 1816 Vienna, Austria Date of Recording: 7/11/2017 Venue: Steinway Hall, New York City Length: 21 Minutes 07 Secs.